Fall & Winter Kayaking is still available ! 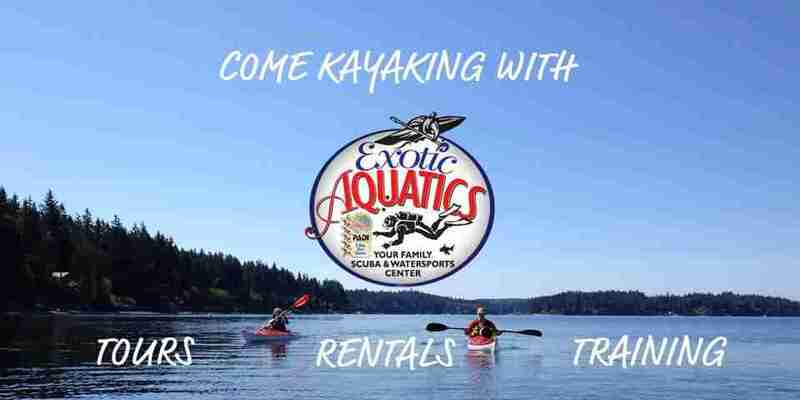 Join Exotic Aquatics for a unique Bainbridge Island excursion and see the island, its wildlife and its amazing scenery from a water level perspective. Only a scenic 35 min ferry ride from downtown Seattle, Bainbridge is truly an amazing island getaway! During the off-season, please give us a call at (206) 842-1980 and we’ll do our best to get a tour for you, dependant on the weather. Want to do something a little different, or want to make sure only your group is on any given tour? Give us a call and let us tailor a paddling experience just for you and your group!